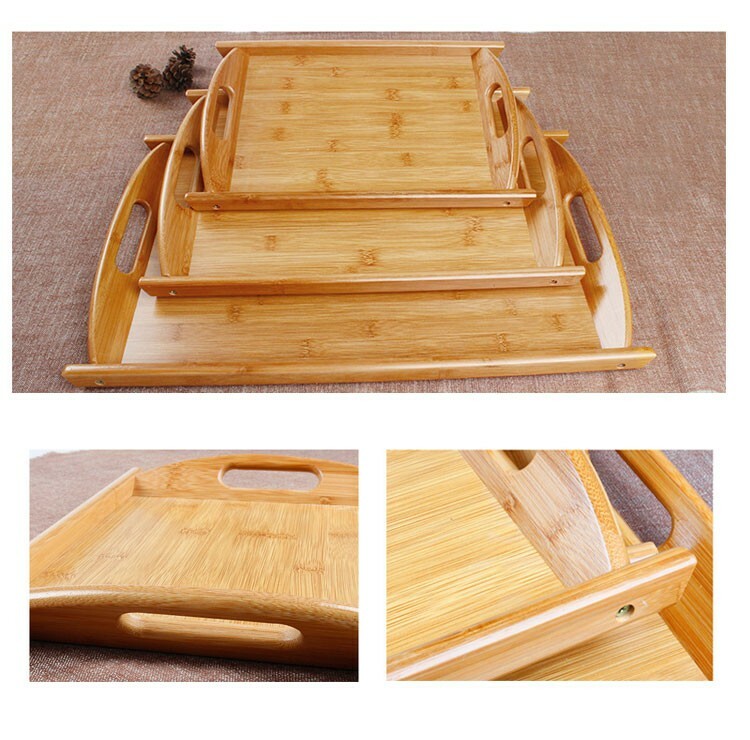 Made of durable natural bamboo known to be environmentally friendly, stronger and more beautiful than regular wood. Ideal for serving breakfast, dinner, wine, or just anything else, or use for an elegant decoration display. Elegant sides with wide handles for easy grip. Surrounding tray lips prevent items from falling over. 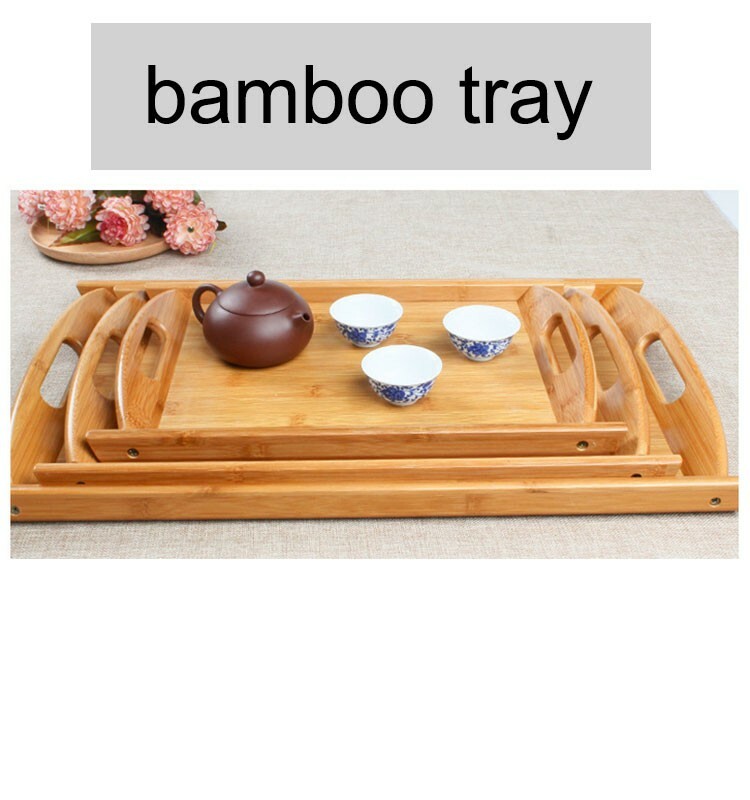 Hand wash with mild soap warm water, for extended life of tray use bamboo oil occasionally. Bamboo is easily renewable, so its an environmentally friendly material. Adds a natural touch to any room. 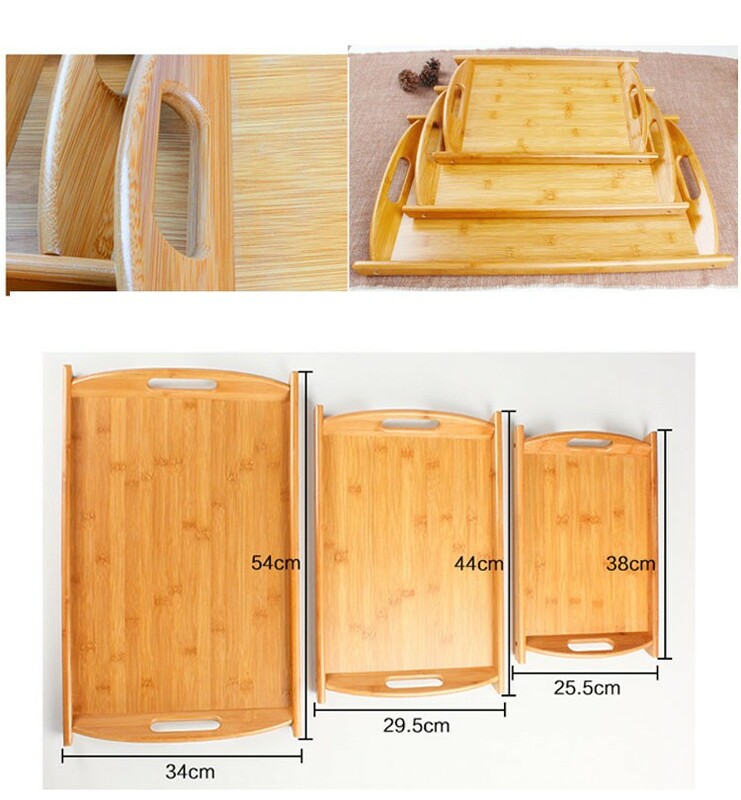 Cut out handles make the trays easy to carry from the kitchen to the bed.